In many experts’ opinions February is considered the best month to visit Costa Rica and take that Family Costa Rica Vacation or Honeymoon that you have been dreaming about. Generally speaking, February offers the best chance for dry, sunny weather throughout your stay. This is the heart of the dry or summer season. In the most popular destinations throughout Costa Rica, the weather tends to be warmer and dry. With travelers looking to escape the winter in North America, as well as Spring & Winter Breaks at some schools, it is considered the high season, but it is not overly crowded or ridiculously expensive. Typically, the availability during February is quite reasonable, and there are no peak season surcharges or fees that exist during the Christmas, New Years and Easter holidays. What is the Weather Like in Costa Rica in February? In our opinion, February is one of the best two months to travel (March being the other best month to visit). 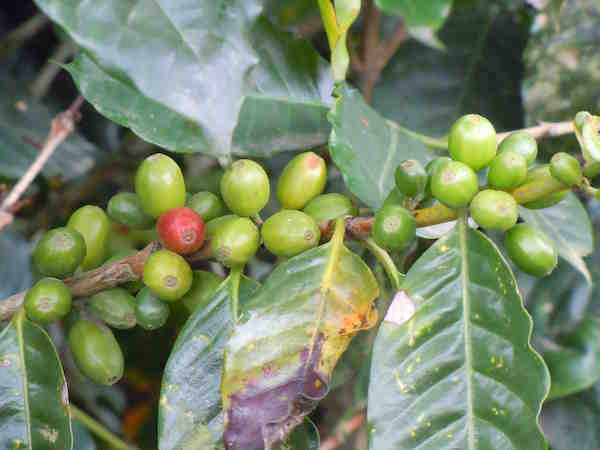 Not only is February right in the middle of the dry or summer season in Costa Rica, but the crowds and pricing also tend to be favorable, as well. During February, the Central Valley, Pacific beaches and Guanacaste areas are in full summertime swing. These areas of Costa Rica will offer travelers the ideal and picturesque Costa Rican weather with very little rain. What little rain falls usually comes as afternoon or evening showers, when the moisture is openly welcome to cool things down and replenish the lost moisture from the hot day. In February, as is the case for 10 of the 12 months on the year, it’s significantly wetter on the Caribbean slope and coast. Longer, extended periods of rain are not a rarity; however full days of sunshine and dry days can happen as well. February has the lowest rate of precipitation for Costa Rica. Standard high temperatures on the beaches and in the lowlands range from the low to mid-80s, although 90s are possible. The low temperatures can range from the mid to upper 60s to the low 70s. As you ascend into the mountains of the Central Valley around the Alajuela and San José areas the highs and lows are typically 6-12 degrees cooler. In the higher elevations around the cloud forest destinations, like Cerro de la Muerte, Monteverde and the Chirripó area, the high temperatures typically do not exceed the mid-70s. All travelers will receive a copy of our basic Costa Rica Escape adventure packing list. Traveling light in Costa Rica is typically pretty easy, but will depend on how long you stay, where you go and what you do. No matter what, always bring high-quality sunscreen & bug repellant as this and other toiletries can be very expensive to purchase in Costa Rica. 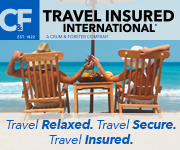 To learn more, view our detailed Costa Rica Packing List article. Mardi Gras in Esterillos – This traditional celebration takes place on the Central Pacific Coastal towns just north of Quepos and south of Jaco. Here you’ll experience a carnival with parades, street-fare, live music, and children activities. This typically happens in mid-February. San Isidro del General Fiestas – This is an agricultural and very traditional Costa Rica, local fair with bullfighting and traditional livestock competitions. The famous Toro a la Tica events are a very popular and unique event that the Ticos enjoy. This fair happens in Perez Zeledon during the first week of February. CENAC Summer Festival – Free storytelling, theater, movies and other entertainment at the National Cultural Center in San Jose. February 13-16. Puntarenas Carnaval: A lively, seven-day, local celebration with plenty of traditional food, music and beer in the coastal town of Puntarenas during the last week of February. Sun Festival – An annual celebration of the Mayan New Year on February 25 that culminates in a fire ceremony and a gathering to promote solar power. Last week of February. Liberia Fiestas – Guanacaste folklore and traditions are celebrated with music, rides and concerts throughout Liberia. Last week of February. Pacuare River Rafting – with water levels at a perfect balance, now is the time to get out and explore this magnificent river & the surrounding biological indigenous jungle reserve. You can embark on this adventure on our Remote Adventure itinerary or our Avid Explorer trip. Read our Rafting Costa Rica’s Pacuare River article. Sunset Catamaran & Snorkel Sail – Whether you are on the Central or Northwestern Pacific Coast, these multi-adventure sailing tours are a great way to get out on the water and explore the marine life. When you are done with the snorkeling, you can swim ashore to explore a remote beach, and enjoy the perfect winds as you set sail. 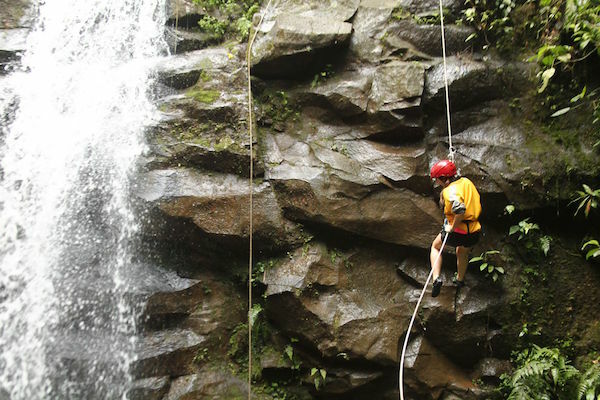 Canyoning & Waterfall Rappelling – With warm temps and sunny skies this river activity is a great way to keep cool and experience adventure from new heights as you descend waterfalls and river canyons with a professional guide in Arenal or Turrialba. Visit a Volcano – Most of the rest of the year, volcanoes keep their mysterious intrigue by being shrouded in high-altitude clouds, but lots of sunshine and cool northern breezes make February a great time to explore one of Costa Rica’s many volcanoes. Read our Costa Rica Volcanoes & Mountain Ranges article. Traditional Fiestas – For those travelers that are interested in cultural activities, February is a great month to learn more about the local customs and culture, which is full of fiestas. February is the perfect month to visit Costa Rica with lots of sunshine and plenty of fun in nature. With the passing of the holidays and Spring Break bearing down, travelers visiting Costa Rica in February will be able to get a more secluded and unique travel experience in February. Make sure that you consult with an experienced itinerary design agency like Costa Rica Escapes ensuring that you have an unforgettable visit!